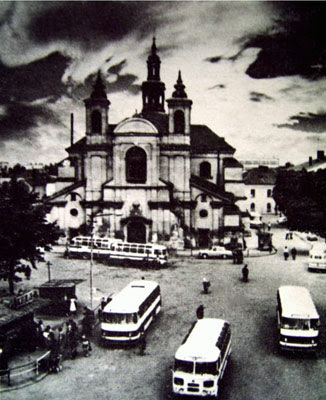 The square is located in the center of Ivano-Frankivsk, between The Greek-Catholic Cathedral of Christ’s Resurrection and the Museum of Art. Only one block separates it from Rynok square (Market square). Every government named the square differently. First it was named after Franz I, an Austrian emperor. The first bronze monument to the emperor in the history of the city was set up here. 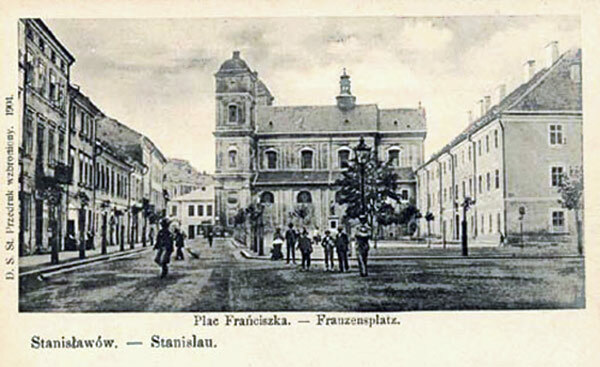 The Polish administration of the city destroyed it in 1920. Now the square is named after Andrei Sheptytsky (1865 -1944). He was the famous Ukrainian and public figure. In 1899 he was nominated as a bishop of Stanislaviv. A year later Sheptytskyi became Halych Metropolitan in Lviv and he held this position till the end of his life. There are three most important memorials in the square dating back to the 18th century. They are: Parochial Roman-Catholic Church (present Museum of Art), Jesuit collegium (present building of the morphological department of the Medical University) and the Jesuit Roman-Catholic Church (present Cathedral of Ukrainian Greek-Catholic Church). The blocks of flats in the eastern part of the city were reconstructed in the retro style in the 1980s. 12 chapels were built in the city in honor of the 2000th birthday of Christ. One of them was constructed near the cathedral in 2001. It has the shape of rotunda. It is supported by four columns and is covered by a plastic dome ending in a cross. The sculpture of the Lady, which is made of the Italian Quatar marble, is set up in the chapel (sculptor Toporkov). The rotunda is surrounded by a round-shaped water-pool. © 2019 Pilgrim Hostel. All rights reserved.